Ivan Iwanoff was a Western Australian architect of note in the 60s and 70s. One of his masterpieces, 53 Shannon Road Dianella (Perth) is up for sale. 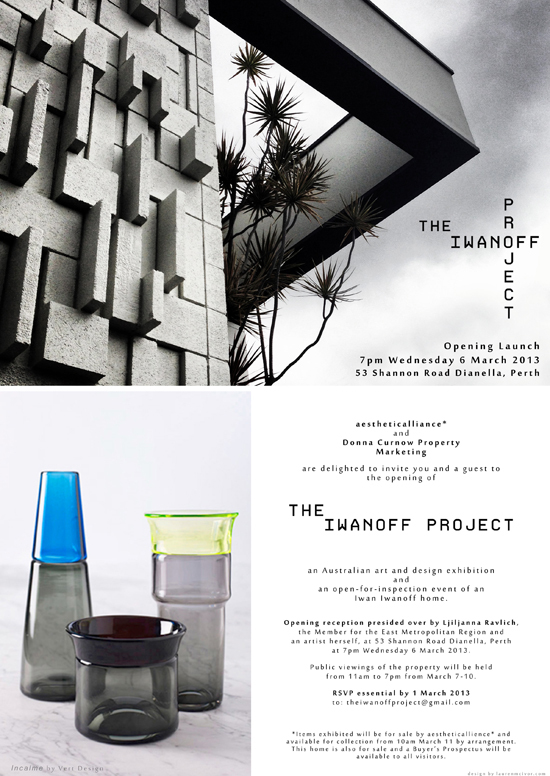 When it comes to retailing, The Ivanoff Project is right on target. It's a sales event that goes beyond the mainstream approach. Part pop up shop, part exhibition, part educational and part social, if you cannot afford to buy this stunning property, but have an appreciation of mid century architecture, then you are welcome to a viewing as something else may catch your eye (and be within your budget!). The owners of the home have collaborated with Marisia Lukaszewski, curator and founder of Aesthetic Alliance, to source a fabulous selection of homewares and accessories that will be for sale throughout the 'open for inspection'. 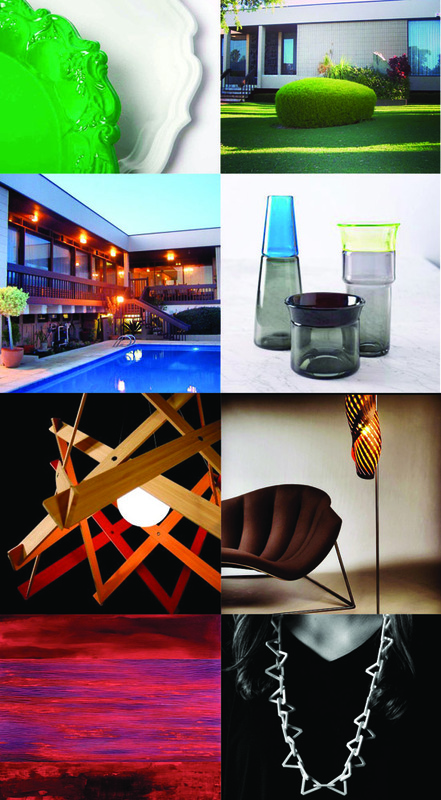 Over 100 designer objects by 25+ contemporary Australian artists compliment the property. Retailers take note - this is what we mean by a sales experience! Opening night is a catered event and has already sold out (sorry). The house and contents are open to the public 11am to 7pm from the 7th to the 10th of March 2013. 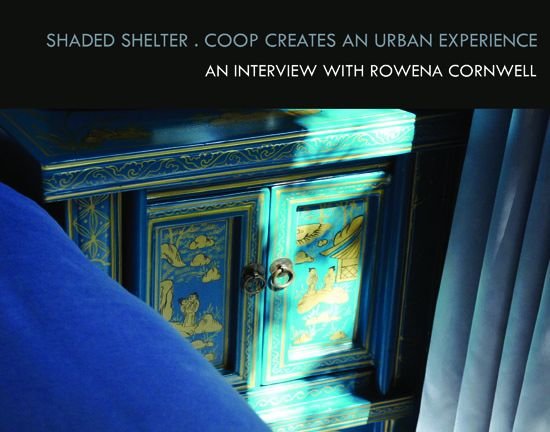 Late last year I sat down to chat with Rowena Cornwell about her approach to interior design, and to find out more about the Balfour Hotel for which her firm, COOP Creative, had just won Best Hotel Under 50 Rooms, the only Australian hotel to be recognised at The International Hotel & Property Awards in London. The Balfour is part of the Spicers Group and is essentially a nine room ‘home away from home’, albeit a quite luxurious one, located in New Farm, inner Brisbane. 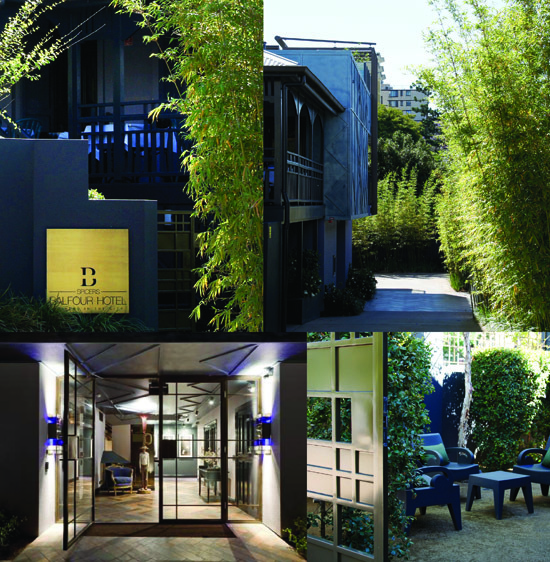 Whilst small in scale, the Balfour is a big experience, one that is both quintessentially “Queensland at heart” but also exudes a casual European elegance. It was not quite what I expected and, for me, personally very satisfying to discover. Cited as one of COOP’s favourite projects to date, Rowena says she loved the challenge of transforming a classic wooden Queenslander built in the 1920’s into a modern yet sympathic space. Fundamentally, Cornwell says, the project was about domestic scale architecture with a commercial use. POD: How would you describe your design approach in one sentence? RC: I’m always looking for the beauty, or potential beauty, in a space. POD: From what I have seen of your work, I would describe it as considered, classic and contemporary. It appears to me you create relevant spaces that feel both special yet immediately familar and informal. The Balfour speaks volumes about the calibre of both your approach and of course your client. Did she give you a fair amount of freedom here? RC: She is an international business woman who has travelled extensively for both business and leisure. 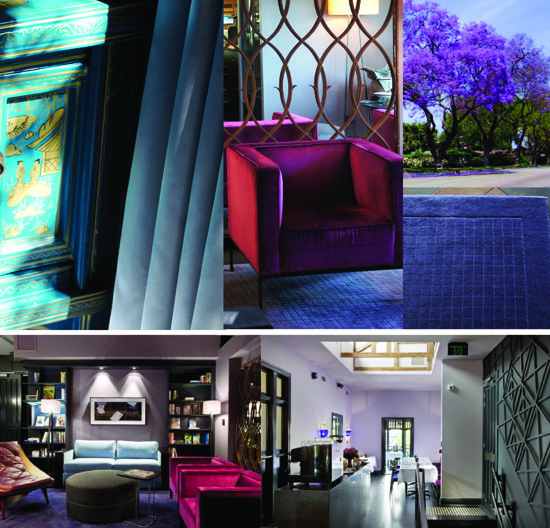 She was clear about all the things she felt were important to a boutique hotel experience. We had worked together on other projects in the past so she was confident we could deliver what were essentially pretty small rooms and spaces and still meet the 'experience' expectations she had for her future guests. POD: Prior to the hotel, the residence was a boarding house then a back packers. Those words conjure up images of a rabbit warren to me! What condition was the building in, and how much of a challenge was it to see the potential beauty? RC: A rabbit warren indeed, and a filthy one at that! It was covered in years of grime and uncaring, but the house had great bones. Our challenge was to create nine guest rooms, a lounge and dining space, a reception area and small conference facility within a fairly small footprint, as well as car parking including DA access, and an entry statement worthy of the hotel’s positioning. POD: The entry is to the side and well down the driveway, a conventional approach would have been to put it at the front of the building? RC: We wanted to create a real sense of arrival. The drive is fundamentally a leafy lined lane way that brings you down to the heart of the hotel. Guests are ‘greeted' by a doorman sculpted by a local artist, “he’s the person in the room if you like”. Reception is directly upstairs, which is the anchor between the lounge and the dining space. The guest rooms are delineated by a corridor, providing a sense of separation from the public spaces. The lighting and darker palette in the corridor helps create this separation and a sense of drama before entering the bedrooms. POD: What was your biggest challenge with this project? RC: Fire rating! New legislation introduced in Queensland after the Childers Backpackers fire put more demands on a finite budget. It is a timber home, we could not go any higher than 2 levels and there were lots of challenges with marrying the existing building and a new structure, complying to building codes and achieving a beautiful resolution of the space. In addition to this we also had south facing bedrooms, so getting natural light into rooms was a key consideration throughout the design process. POD: I read recently where Megan Quinn, the founder of Net-A-Porter (and another successful Brisbane girl to boot!) imagined a 1950’s bell boy carrying parcels and boxes for a stylish woman as the inspiration behind her packaging which proved to be a huge part of Net-A-Porter’s success story. What were your first thoughts when imagining the possibilities for the Balfour? Was there a single image that summed up your vision or started the creative process for this project? RC: Before studying Architecture, my first degree was in fashion design. 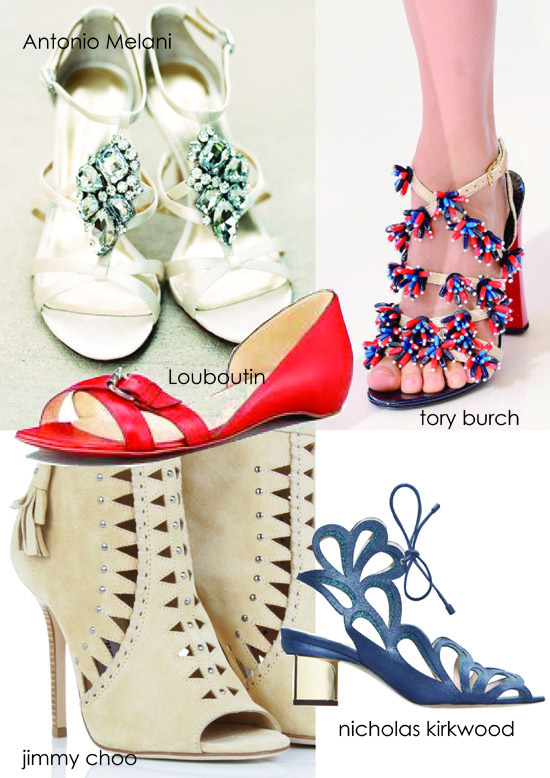 Fashion is a natural starting point in my design process. I’m also quite good at day dreaming about the possibilities ... who might use the space, what sort of lives they lead, how they might feel when staying in a space I have created ... for the Balfour my starting point was a beautiful PRADA advertisement. At the time the image just crystalised my thoughts about colour and style, and all the possibilities ahead. The beautiful jewel palette inspired the soft furnishings and the soft blue / grey finishes. POD: The result is an interior that is soothing and cool without being cold. 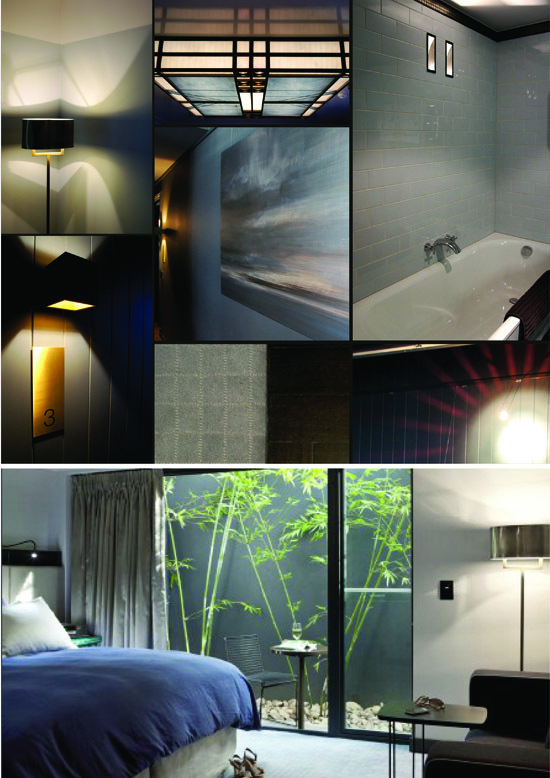 The subdued lighting and slivers of natural light offer a subtle respite from the Queensland sun (summers can be brutal in this part of the world). The rich velvets and palette remind me of some of the modern hotels I have visited in Milan. The more I think about the hotel, it has a rather contemporary Milanese feel about it. How do you view the hotel now that it is completed? RC: The spaces have been 'lived in' for a little while now and these days I tend to think of the hotel as rather like staying at a rich Uncles' house. It is a place you know you are going to enjoy and have a bit of a special experience, one where you are keen to pack your bag and go, and feel a little sad that you actually have to leave. It's a personal experience and a pleasure to stay there. POD: Your work is an inspiration. Congratulations again on your Award and thank you for taking the time to share this story with POD readers. After spending a rather extravagant 6 weeks on a global snoop for inspiring retail experiences I must say at the end of it I returned home foot sore and sadly underwhelmed. It was tough to find something new out there. I have decided that future explorations will have to be to emerging markets. The use of technology was on my eye-spy agenda. Where it was used for Christmas decorations I gave it the big thumbs down (Barney's Electric Holiday ... a clever concept but not a good in store experience in my opinion ... it just didn't feel like Christmas). Happily the Lord and Taylor department store on 5th Ave used technology to provide a new shoe shopping experience for me. Australian department stores still have floor staff who have to go out the back to check if the shoe is in stock in the required size. It's a slow and lousy experience. Lord and Taylor have floor staff with hand held devices, they take your name and then scan any shoe you like. They can tell you immediately if they have stock in your size. If they do, and you want to try it on, a customer support person pulls it from the back of house and within minutes it has arrived on the floor without the sales person leaving your sight. Now if only they had more size 11.5's in stock ... sadly I left empty handed.